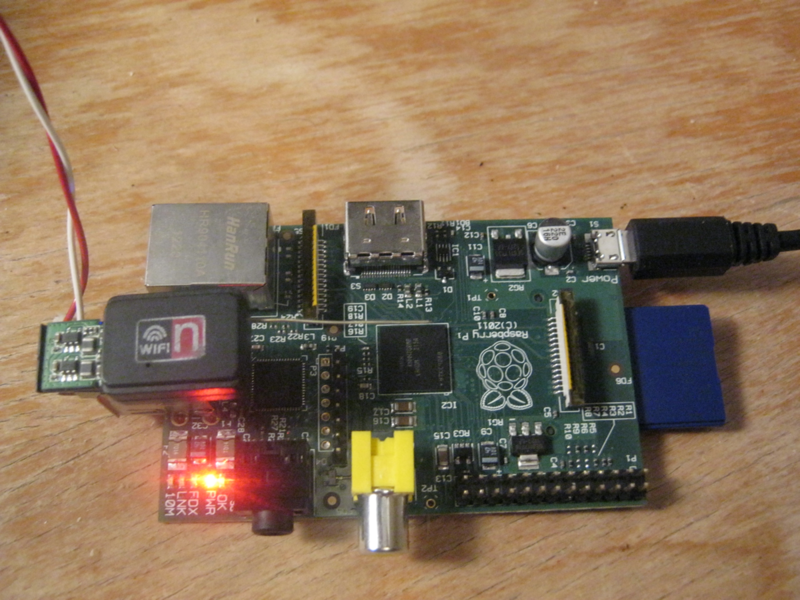 Adding wi-fi to a Raspberry Pi without a powered hub #piday #raspberrypi @Raspberry_Pi « Adafruit Industries – Makers, hackers, artists, designers and engineers! 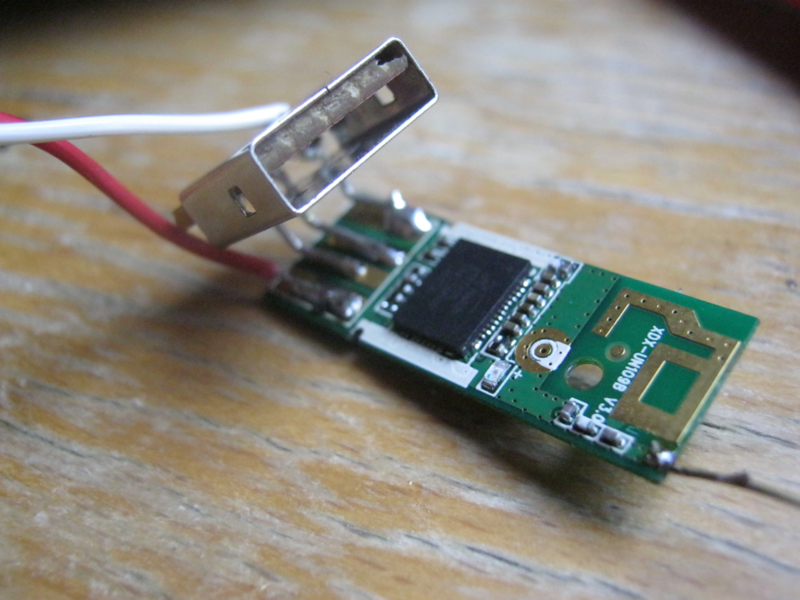 It is a commonly known problem that the Raspberry Pi cannot provide enough power for most USB wi-fi adapters. This can be solved with the use of a powered hub, however I have plans to integrate the Raspberry Pi into other devices; due to space constraints I decided that it would be better to convert a dongle to draw power separately to its data connection, also taking the opportunity to reduce the distance that it projects past the end of the board. The starting point was a cheap dongle I bought from ebay for a couple of quid; luckily enough it’s based around the Ralink RT5370 chip, this makes it fairly straightforward to obtain drivers suitable for the Raspberry Pi. The first step was to take it to bits and see what I had to work with; this was achieved by bending a couple of tabs on the connector and slipping it off, after which the case pulled apart. No surprises here- a board with USB connection pads on one end, circuitry in the middle and an arial on the other end. This is all well and good, but for many Pi owners it would be far simpler to buy an Edimax EW-7811Un nano wireless dongle. In the UK, Amazons sell them for £9 ($14). It performs superbly without a powered hub, and the driver is now included in the official Raspbian distro (probably in Adafruit’s Occidentalis as well, for all I know), so it just works “out of the box”. It may be “commonly known” that the Pi cannot power a USB wifi adapter without a hub, but the EW-7811Un works fine on all of my Pis, including the original version I got in July.